What Is Walking Meditation: Could You Be Meditating Already and Not Know It? We often think of meditation as a sedentary, solitary practice, but what if walking meditation was a possibility? After all, there are a number of ancient art forms that use a person’s movement as a means of introducing peacefulness and tranquility to their inner core. Tai Chi is a classic example of this. If sitting and meditating isn’t working in your case, then maybe walking meditation could be a better experience for you. After all, there’s a good chance that you’ve already performed walking meditation without even realizing it. There is a direct link between the mind and the body that becomes excited when exercise is being performed. This is why there is a greater focus during a workout and stress can be released. The physical movements help the mind challenge itself to forgive, forget, and release. Meditation is a natural addition to this process because the goals are essentially the same. Think about the last time you took a walk by yourself. Can you remember what you were thinking about? Was there a particular memory that comes to mind? Most people don’t have a clear memory of a solitary walk, even if they happen to be walking in an urban environment. This is because walking for as little as 30 minutes during the day creates an enhanced focus on the coping mechanisms of the mind while the body receives the exercise it needs. Walking 10,000 steps, or about 5 miles for the average person, every day is proven to reduce the risks of cancer, heart disease, obesity, and diabetes dramatically. It also increases mental awareness of the internal struggles you may have going on. This is why most people struggle to remember the actual memories of their last solitary walk. Their mind was actively engaged in solving the problems it faced, purging stress, and planning for the future. Do You Struggle With a Singular Focus During Meditation? Besides not being able to find time to practice meditation consistently, the primary reason why the meditating is abandoned is because the mind just will not still itself. Some people are able to acknowledge thoughts and push them away, but some minds are just not equipped to do this. Some people are naturally wired to be more active on a regular basis. It’s the same reason why some people require the television or music to be playing while they fall asleep and others can’t go to sleep if the television is on. Some minds need active engagement and some minds need peace and tranquility for engagement. Walking meditation helps to still the active mind because the process of walking somewhere creates the engagement it needs to focus on the communication lines between the conscious and subconscious mind. Are You Ready to Give Walking Meditation a Try? Walking meditation isn’t necessarily something that is just going to happen. Being able to discipline the mind so that it can transform walking into a memorable practice of meditation instead of using the time as a simple coping mechanism is necessary. Here are the steps you can allow this meditation technique to have a chance for success. #1. Try standing meditation before trying walking meditation. 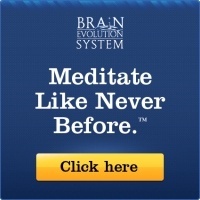 This is designed to help your body be able to adjust to a different style of meditation. Find a comfortable stance and begin to focus on your breathing. Take a few deep breaths and make sure you don’t lock your knees so that blood flow isn’t restricted. Note sensations you have, acknowledge that they are completely appropriate to feel, and just listen to your body. Observe the internal condition of your being and validate its feelings. #2. Focus on your core. Imagine if you could bundle up all of your internal energy into a ball. What would it look like? Picture that energy and imagine that it is floating in your mind. Now consciously have that energy travel down your spine until it is able to reach the very center of your being. It is here that you will be able to feel energetic, alive, and ready to examine the world from within and from without. For the first few days, you may wish to stand and practice these first two steps to acquaint yourself with the feelings and thoughts that may make themselves known. #3. You are now ready to walk somewhere. Once you feel comfortable with being able to protect your energy within the center of your being, you are ready to take a walk and meditate at the same time. Don’t worry about walking in a specific way. Just use your natural gait and speed. You can take a brisk pace or take a leisurely pace – whatever your body finds to be comfortable that day while being able to keep a focus on your energy. #4. Allow your body to relax. The most difficult component of walking meditation is to find a way to allow the body to actually relax while you are exercising. The muscles tend to tense up in anticipation of the exercise. Allow your arms to assist your walk naturally as they swing from side to side. Your arms swinging actually helps to keep your energy centered in the core of your inner being. Starting from the muscles that are the most tense, put a conscious focus on relaxing them as you are walking. This may take some practice, so don’t be discouraged if you aren’t 100% successful immediately. It’s a skill that needs to be developed. #5. Connect yourself to the energy that is around you. Imagine that you can stretch your mind all the way into outer space and then beyond. The sky above you is infinite in nature. You literally can keep moving through the universe in an almost infinite line to the very oldest components the universe has to offer. Allow your mind to go as far along this journey as it wishes. At the same time, be conscious of the fact that your feet are firmly planted on the ground with every footstep you take on your journey of walking meditation. #6. Let the energy that surrounds you be the fuel that guides you. 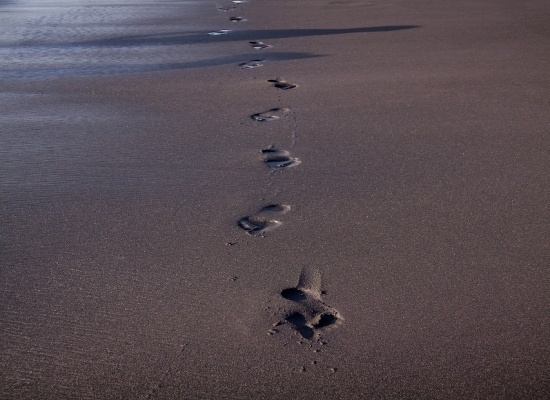 Walking meditation isn’t just about spacial awareness and internal communication. It is also a way to tap into essential sources of energy that will allow you to be more energized than ever before. Allow your representation of personal energy that is protected in your core tap into the energy fields that surround you as you walk. Be conscious of this energy so that it doesn’t get lost in the vast flows that you will feel around you. There is a unique connection that happens when your energy connects with the rest of the world – instead of feeling lost, you feel that you are part of something that is truly great. #7. Allow yourself to feel everything. As you are walking, and especially as your walk is about to end, it is important to acknowledge everything you happen to be feeling. Every sensation is important. Allow feelings and thoughts to course through your mind as they wish. In doing so, you will create a connection between your thoughts, feelings, inner energy, and the outer energy of the world around you that may lead to a greater understanding of who you really are. The routine that you are able to establish for walking meditation will help you be able to achieve the goals you have. It will take 3-4 weeks to establish a strong routine, so allow yourself the luxury of making a mistake or two as you begin the process. If you are unable to walk for 30 minutes at a time, try creating two meditation sessions that are 15 minutes in length instead. If you can only do 20 minutes once per day, that’s a good place to start as well. 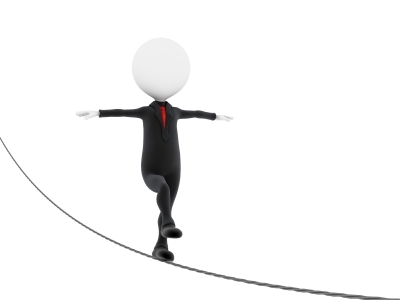 Routines are important, but they shouldn’t be something that causes you to walk on autopilot. Walking meditation is a conscious effort to get in touch with your inner being in a unique way. Don’t feel forced into doing something your body is telling you it doesn’t want to do that day. It is better to skip a day of walking meditation when your body is exhausted then to create distractions and possible physical injuries because you are ill prepared one day. With the active mind, meditation in the traditional sense can be difficult. The entire session can be spent labeling thoughts, instructing them, or just allowing them to flow. Distractions in even the quietest of environments can excite the active mind and cause someone to lose focus. This is why walking meditation could be the perfect solution. 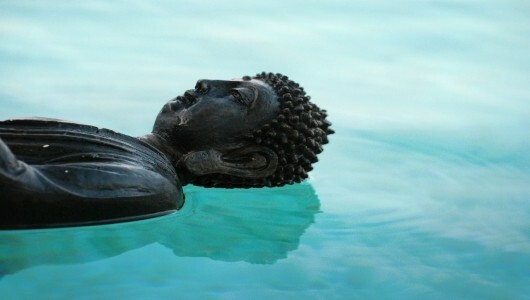 Not only does it engage the mind, but it also engages the body and allows you to exercise and meditate simultaneously. For the busy mind and the busy life, that really is a combination that can create great things. What Is Yoga Meditation? Start Pursuing Personal Perfection! What is Lucid Dreaming? Take Control of Your Dreams!